The Strictly hosts have pledged to live up to their promise to “keep dancing” and take part in the longest danceathon in Red Nose Day history. Speaking on This Morning on Sunday, the pair revealed a host of stars including celebrity baker Berry and cook turned campaigner Oliver will join them during their day-long stint. Daly said: “We are enthusiastic kitchen dancers at home but professional? No. “We will be having help from choreographers. They will be coming to dance with us. They will be doing three-hour stints. She added she was unsure if the former Great British Bake Off judge, 83, would dance. “We just said yes and, in the nicest possible way, it’s not about us,” she said. “We just hope people watch and donate. We get certain people – and the whole cast of Mamma Mia! is coming in. 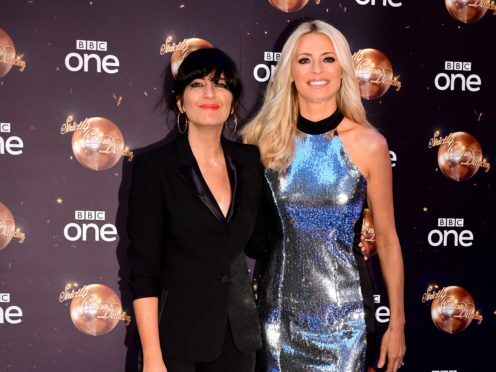 Winkleman, 47, and Daly, 49, will show off their moves at the radio studios in Wogan House for the challenge, which will be followed across all Radio 2 shows on March 11 to March 12.